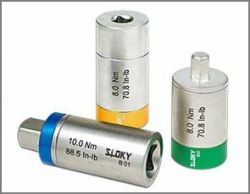 • SLOKY mini 0.1~0.7 Nm torque adapters control and safety for "high-value" products. 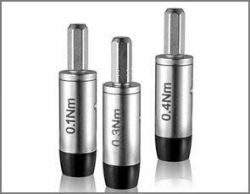 No- over tighten, when the demand torque is reached, there is a click sound. 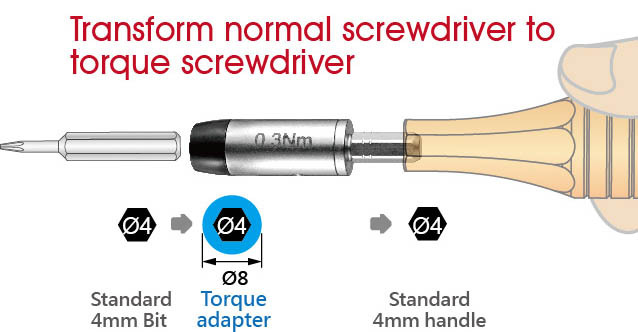 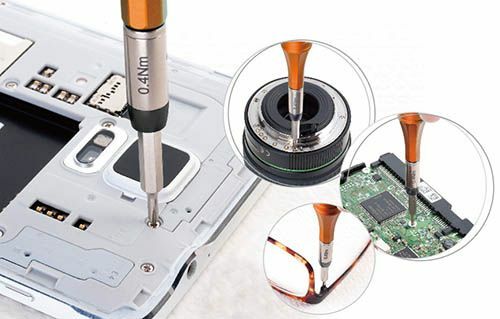 For continued tightening on the screw, it is no longer to increase the torque on the screw. • SLOKY mini torque adapter fits almost any kinds of the 4mm bits and handle with Ø4 mm in the market.